Mweb Review 2019: Is Mweb a Good Hosting? MWEB is an ISP from South Africa that recently started offering web hosting services to local private users and small business owners. They have unlimited resources and 24/7 tech support. 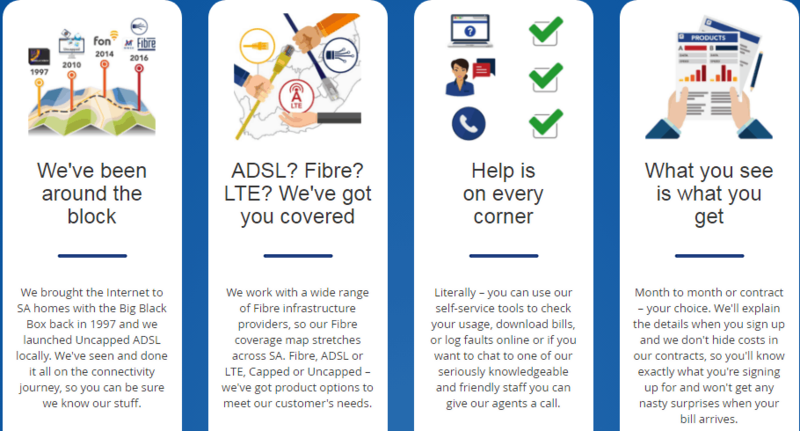 MWEB is South African IT giant, famous across the region for their uncapped ADSL service that connects hundreds of thousands of users across the country. The company started their operation in 1997 and later included web hosting. Now MWEB serves their clients using local data centers providing secure web hosting services at a reasonable price. The company is somewhat limited as they offer only four hosting plans that are very similar. The most notable difference that exists between packages is the number of email accounts that you can have with each hosting plan. Every hosting plan offers unlimited traffic, meaning that no matter how popular a website is there will always be room for more people onboard. Bloggers will find this very attractive. They offer unlimited storage on their servers regardless of the plan you choose. There aren’t many hosting agencies that offer unlimited traffic and storage with all their plans. Additionally, I was able to build my own website using their simple yet extremely powerful website building tool which allowed me to use some of the many templates that are easy to customize. Moreover, there are a number of free add-ons to use in order to make the website better and offer additional content and value to my visitors. They offer a Free domain with their plans. The email storage could be a little more generous, however, these hosting plans are designed for personal blogs and small e-commerce operations. Therefore, starting with 20MB on each of the 5 email accounts for free is not such a bad deal after all. Prices are very reasonable when one takes into account all that is included for the price. The prices on their website are depicted in South African Rands, so unless you are already familiar with the currency, you’ll need to do some online converting to see how much you’re going to have to pay. Moving from a smaller grade plan to a higher and vice versa is simple – just contact their customer service and they will lead you through the process. MWEB has 24/7 phone support and a ticket system that will give you directions and solutions in a reasonable amount of time. MWEB is a perfect solution for bloggers and online enthusiasts who like to share their content with the rest of the world. The prices are more than reasonable, the resources available are unlimited, and the support is available even during holidays. Zlatan Aleksic is a freelance marketing content writer with years of experience in writing product and service promotions and reviews. Wondering how Mweb stacks up against other Web Hosting companies? Enter any other Web Hosting company and we will give you a side-by-side comparison.